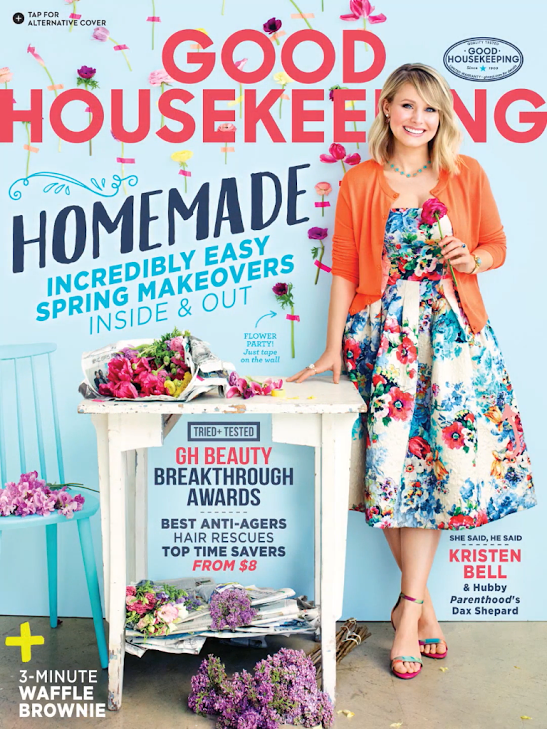 We are so THRILLED to be featured on the May 2015 issue of Good Housekeeping Magazine. Even more exciting was the fact that our bracelet was worn by the gorgeous actress Kristen Bell! What's not to love about this girl next door. We love the fact that this beauty is an active vegan, activist, and is married to HAUTE hubby Dax Shepard. Steal Kristen's style with our Elizabeth Cole bracelet. The Dunn Bracelet is one of our Editors top picks for the Spring / Summer season. 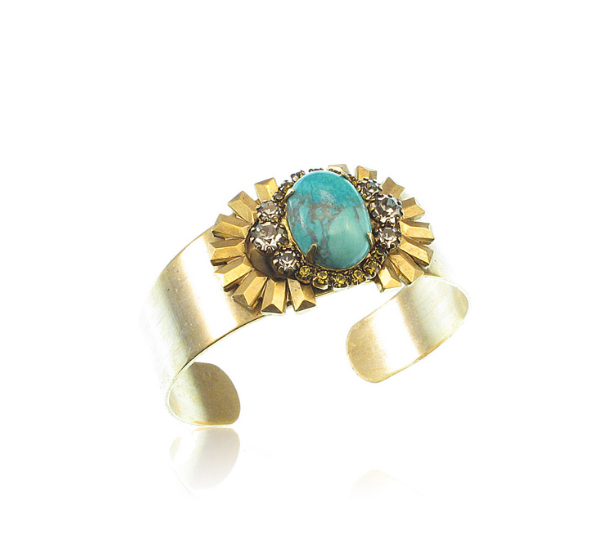 This tantalizing combination of Turquoise, Howlite, and Swarovski Crystals strikes the perfect balance between delicate and bold.